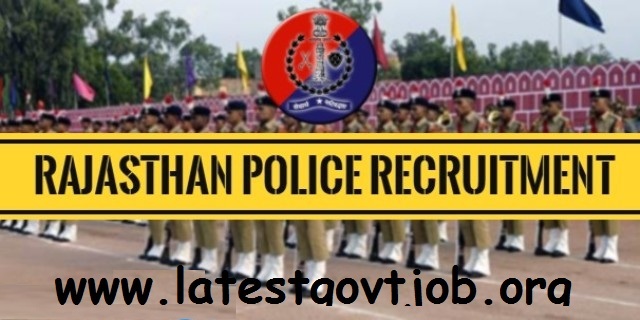 Rajasthan Police Recruitment (2018) - 623 Vacancies for Constable @ police.rajasthan.gov.in : Rajasthan Police has released a notification for the recruitment of 623 Constables. Interested candidates may check the vacancy details and apply online from 21-07-2018 to 10-08-2018. Candidates should have passed 8th and have 1-year old LMV/HMV driving licence. Selection of candidates will be made on the basis of Written Examination, Physical Efficiency Test (PET) and Skill Test. General/UR/OBC candidates have to pay Rs. 400 and SC/ST candidates (whose family income is below Rs. 2.5 lakh) have to pay Rs. 350 through E-mitra Kiosk or online mode. Interested and eligible candidates may apply online through Rajasthan Police website - http://police.rajasthan.gov.in - from 21-07-2018 to 10-08-2018.